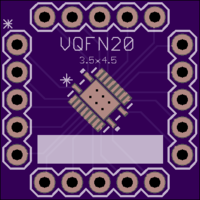 2 layer board of 0.73 x 0.73 inches (18.4 x 18.4 mm). Uploaded: August 19th, 2016 09:58. 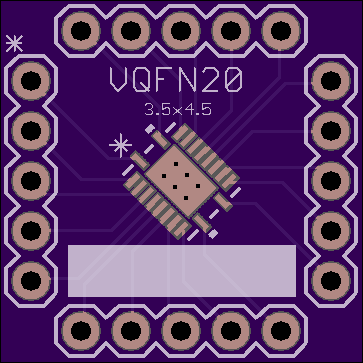 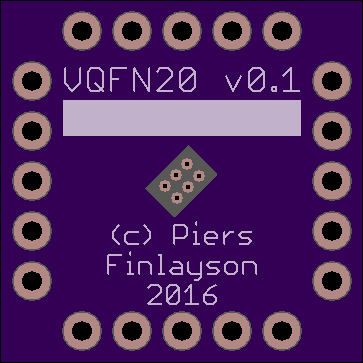 A QFN20 3.5mm x 4.5mm board, for TI PCF8574RGYR.